The Digital Business Transformation conference welcomed executives from 120 companies. Visitors came to get a deeper understanding of how digitalization changes not only the way we do business but also how we recruit, educate, and treat people in a digital world. 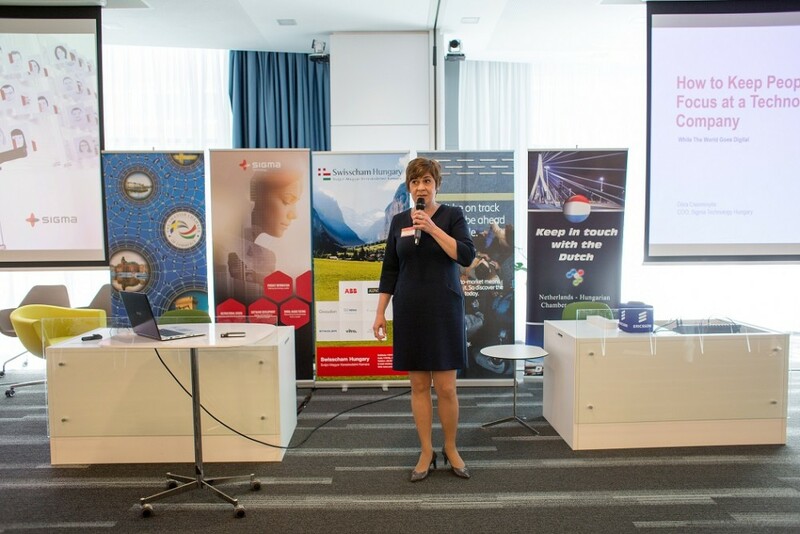 The event was organized by Dutcham, the Swedish Chamber of Commerce, and the Swisscham in Hungary, in co-operation with the British Chamber of Commerce, the Danish Business Club, and the Italian Chamber of Commerce in Hungary. Sigma Technology sponsored and actively supported the event. The top 10 digital trends in 2018 revealed by Roland Jakab from Ericsson was another highlight of the conference. The forecasted 20 billion connected IoT devices in 2023 will change how we regard connectivity and communication in the future. Agnes Galambos from Krauthammer told us about the concept of Learning to go, which addresses the continuous education struggle for all IT companies. The blended learning solutions of Krauthammer utilize the latest digital tools in order to suit the constantly changing demand of learning new skills. Finally, our very own Dóra Cseresnyés, addressed an up-to-date topic as well: How to Keep People in Focus at a Technology Company While the World Goes Digital. People are changing as technology is weaving itself into the fabric of our everyday life. Dóra believes that empowering people to act and influence others pays off for business success and prosperity. As an example of how companies can achieve this, she described the programs Sigma Technology Hungary offers to create opinion-leaders, influencers, and makers. 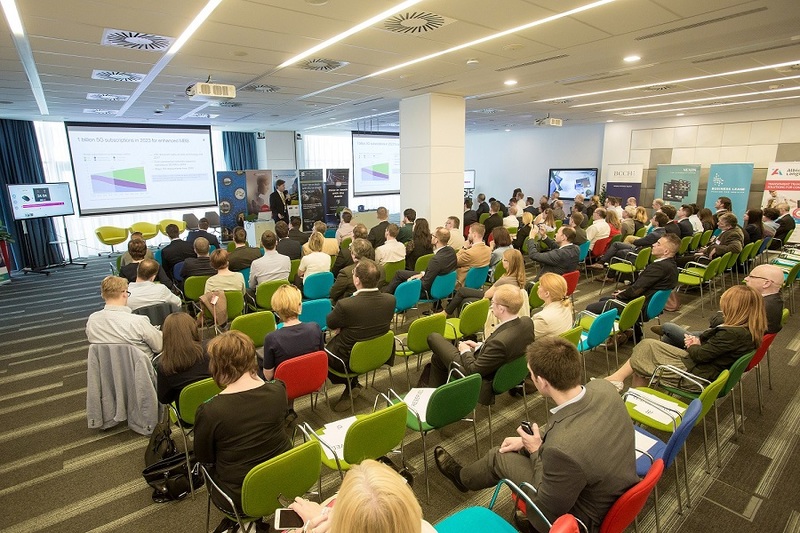 György Nagy, CEO at Sigma Technology Hungary, took part in the panel discussion. “We believe that digital transformation is fundamentally changing our business culture. We at Sigma Technology strive to be leaders of this change and offer superior employment to our colleagues where digital meets the personal” says György.